Last Updated: November 12, 2018 | Subscribe to our weekly newsletter! It’s easy to get so caught up in maintaining your pool that you forget it’s actually there to enjoy. Keeping your water balanced and clear can sometimes feel like a full-time job. We get it. That’s all the more reason to add some pool accessories that will put some of the enjoyment back into your back yard. And you don’t have to spend a ton of money to do it, either. Or a combination of the two. Take LED pool lights, for example. 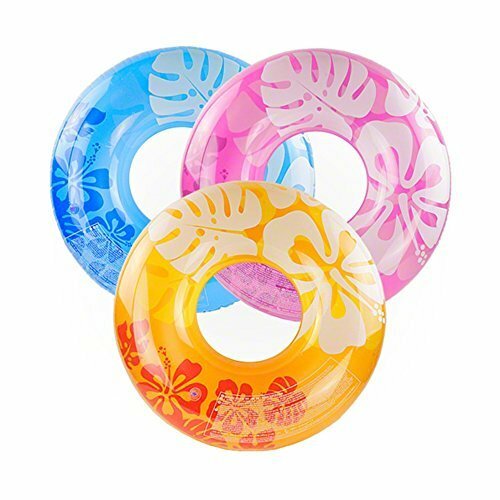 They’re great for seeing during night swims, but can also add color and sparkle to your pool. Don’t stop there. How about a pool float with a canopy? 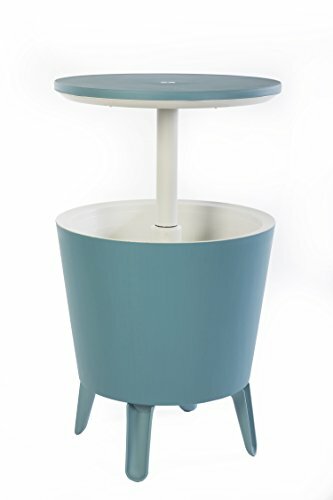 A patio table and cooler combo? Or maybe a towel warmer? Doesn’t matter whether you have an inground, above ground, or Intex pool, we found a little bit of everything for you. It’s just not a pool party without music. Before you place your speakers to face outside, turn your stereo up to eleven, and annoy the heck out of the neighbors, get a couple of wireless floating pool speakers instead. These are completely waterproof If you click this link and make a purchase, we earn a commission at no additional cost to you. 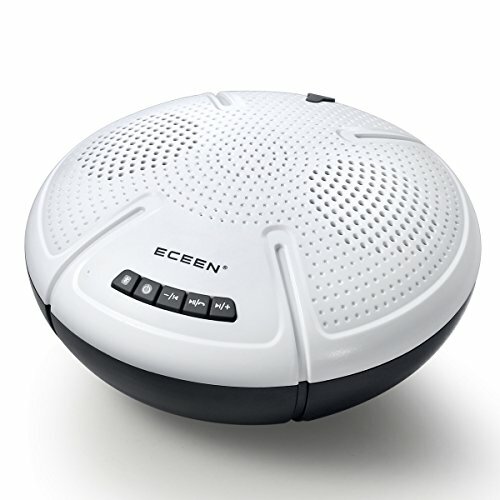 , and offer several volume levels and a powerful subwoofer for rich stereo sound in crisp high definition. You can connect it to your smartphone, tablet, or computer to access your favorite playlists, and easily control the volume and other functions from your device. You know how important pool circulation is. Sure, you’ve got the pump and everything, but a well-placed fountain can not only be pretty and cooling, it can help move your pool water If you click this link and make a purchase, we earn a commission at no additional cost to you. around even more. Win-win! This fountain’s spray height and direction are fully adjustable. 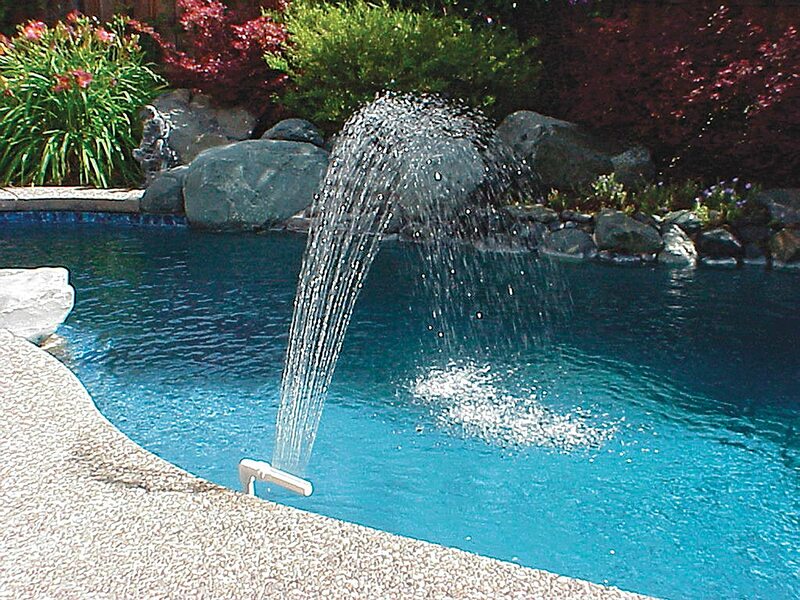 It fits most 1.5-inch threaded return fittings, and works for both inground and above ground pools. It’s also super easy to install, so what are you waiting for? 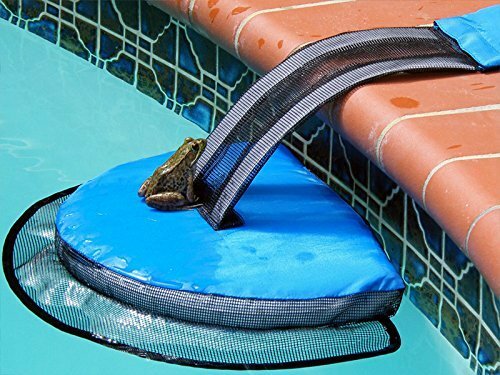 You may not think of this particular pool accessory as being about fun, but consider for a moment how NOT fun it would be to swim in a pool with poor little drowned frogs floating around. So this little escape ramp helps our amphibian friends make their way out of the pool, and keeps you from having the sad duty of removing little froggy bodies from the water. This ramp isn’t just for frogs, though. Squirrels, mice, birds, snakes, rabbits, and even bees can benefit. Helping those critters get out of your pool also means less cleaning for you If you click this link and make a purchase, we earn a commission at no additional cost to you. . It’s so to easy assemble and place, you may even want to get a few of them to place around the pool. 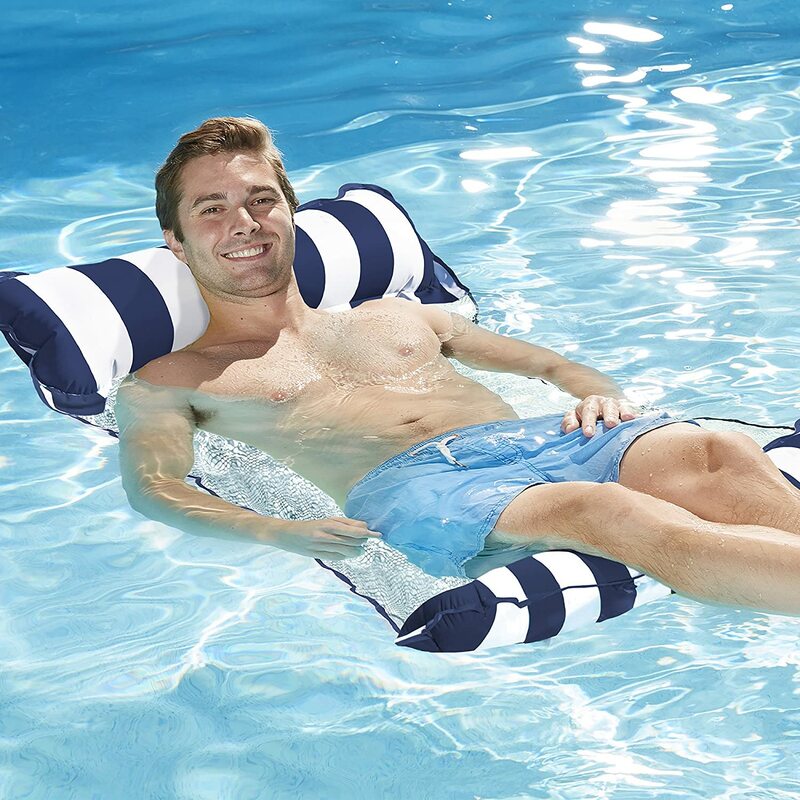 It’s a lounge chair, it’s a hammock, it’s a convertible pool float! It can also be a drifter and an exercise saddle for when you feel like working out in the pool. The woven fabric is not only comfortable, it keeps you cool while you’re floating around. 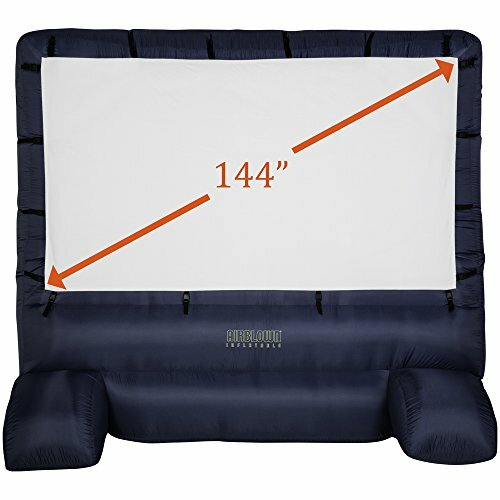 This 4-in-1 float measures 54 inches by 27.5 inches and can hold up to 250 pounds If you click this link and make a purchase, we earn a commission at no additional cost to you. , so it can accommodate just about anyone. It’s easy to inflate and deflate, and even easier to use. There’s a lot to be said for fun in the sun, but eventually, you’ll want to take a break in the shade. No one wants to end a day at the pool looking like a freshly cooked lobster. 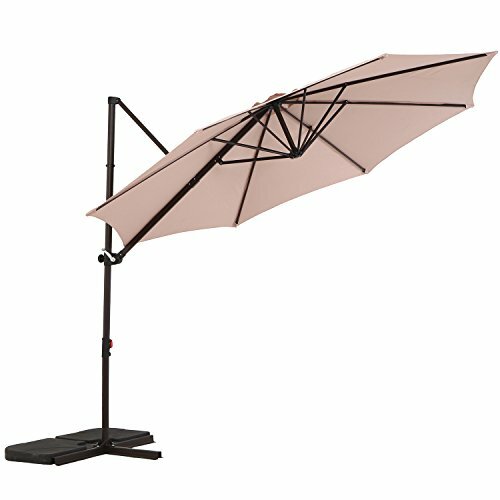 This umbrella not only provides shade, but 98% UV protection If you click this link and make a purchase, we earn a commission at no additional cost to you. as well. It’s also waterproof and fire retardant. The steel pole and ribs are coated with a rust-resistant powder, making them more durable in a humid environment. There’s even a wind vent at the top to enhance stability in windy conditions. Put this baby up, and enjoy ten feet of shady space. Leaving your telescopic poles If you click this link and make a purchase, we earn a commission at no additional cost to you. , your skimmer If you click this link and make a purchase, we earn a commission at no additional cost to you. , your vacuum hose If you click this link and make a purchase, we earn a commission at no additional cost to you. , and any other essential pool accessories lying on the ground is just asking for trouble. They’re much more likely to be damaged, and won’t last as long as if you keep them up off the ground where they can dry and be protected. Plus, leave them on the ground, and someone’s bound to trip over them eventually. Put a few of these equipment hangers on your fence, and clear your pool deck making it more attractive and much safer. 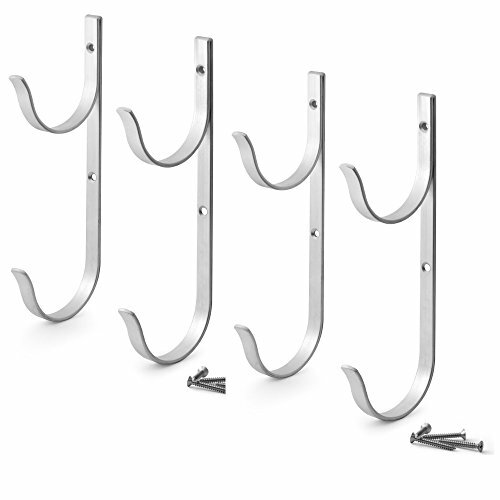 These hangers are made from heavy-duty, lightweight, rust-resistant aluminum, and can hold up to 33 pounds each If you click this link and make a purchase, we earn a commission at no additional cost to you. . Don’t have a fence? You can also mount them on concrete walls, metal posts, vinyl siding, or pretty much anywhere else. They also come with all the mounting hardware, and a 100% money-back guarantee. This isn’t just for the bath or spa! Heck no! Plug this baby in on the patio, and always have a nice, warm towel waiting for you when you get out of the pool. 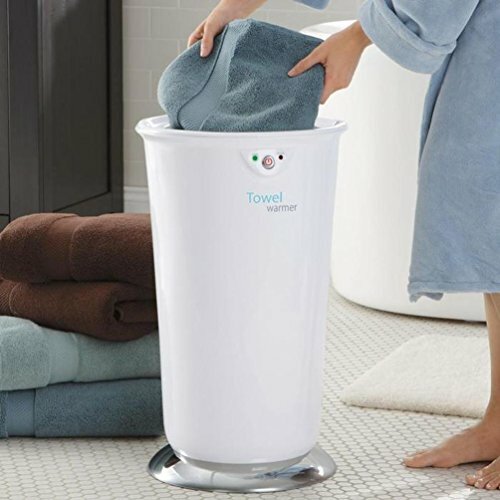 This extra-large capacity towel warmer If you click this link and make a purchase, we earn a commission at no additional cost to you. can hold up to two oversize towels, or a few smaller ones. It keeps your pool towels at a perfectly toasty 120°F (49°C), and has an auto shutoff so you never have to worry about anything overheating and being damaged. It plugs into any standard 120V AC outlet. Note: Anytime you plug something in near water, it’s best to use a GFCI outlet for safety. If you don’t have one near your patio, you can install one. Or, if you’re not comfortable working with electrical components, check with a professional electrician about having one installed. You spent all morning skimming your pool, pulling every last leaf and twig out of the water, making it nice and clean to have guests over to swim. Then they arrive, walk through the grass, jump into your pool, and you’re left with another chore—skimming out all that grass and debris after they leave. Almost makes you want to call the whole thing off. No more! Just set this durable little plastic footbath on the deck near the steps, and everyone can rinse their feet off before they get into the water If you click this link and make a purchase, we earn a commission at no additional cost to you. . Your water will stay clean, they’ll swim in a clear pool, and you’ll have a lot less work to do later. 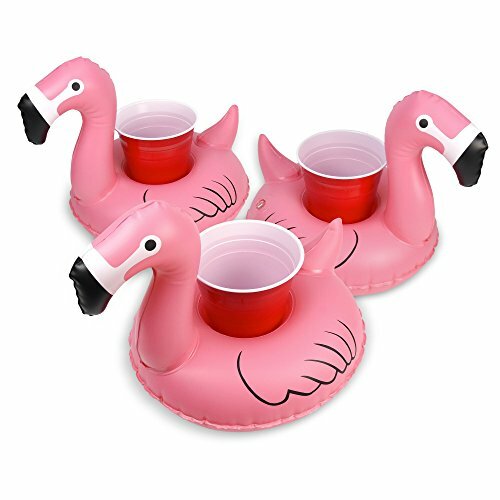 You MUST get these drink holders, if for no other reason than they’re called floatmingo! We just can’t resist a good play on words. But in this case, they’re also cute, fun, and useful. They’ll securely hold your drink, and they’re designed to not tip over If you click this link and make a purchase, we earn a commission at no additional cost to you. while they do it. And come on, who doesn’t want cute little flamingoes floating around the pool?! Does your back yard look like a pool float factory exploded? Yeah, we’ve been there. Time to get it together with a storage bin to keep all your pool accessories in one place. They’re protected, and no one will be tripping over noodles. Have fun explaining that one to the ER nurse. 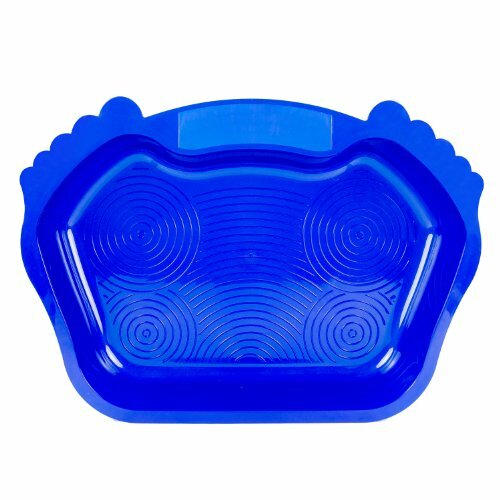 This storage bin is made of high-quality mesh, which allows air to circulate so your pool toys will dry. This also decreases the chance of mold cropping up on them or the storage bin itself. Yuck. It requires no tools to assemble If you click this link and make a purchase, we earn a commission at no additional cost to you. , which is a big plus in our book, and it has wheels to make it easy to place wherever you want, whenever you want. Don’t let the brand name fool you. This super comfy pool lounge can be used in any type of pool as long as there’s water in it. Well, maybe not a kiddie splash pool, but you get our meaning. 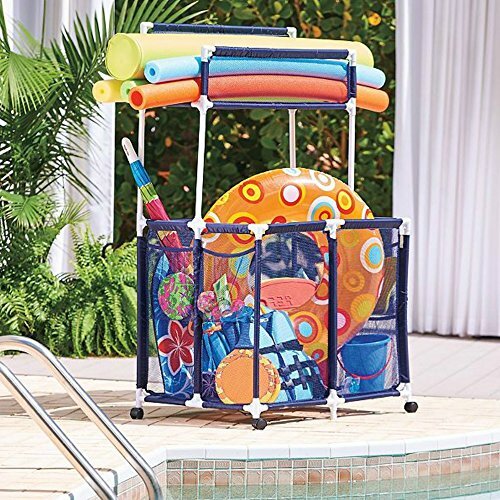 It has a back rest so you can relax as you float around the pool, and the sun shade will help keep you cool and fend of sunburn. But when you’re ready for a little more sun, that sun shade is easily detachable If you click this link and make a purchase, we earn a commission at no additional cost to you. . You’ll also find two built-in cup holders—one for water to keep you hydrated, and the other for your favorite summer beverage. It also comes with a repair patch, just in case. It’s got everything! OK, so you don’t really need a pool for this one. But you know why it’s perfect if you do have a pool? Because no one will have to go inside, dripping pool water all over your floors, just to get a drink. That alone makes this cooler/table combo worthwhile. The cooler is big enough to hold 60 cans or 40 bottles If you click this link and make a purchase, we earn a commission at no additional cost to you. —with ice. Set a couple of these out for your pool party, and you’ll have a hard time running out of drinks! It’s also insulated to keep drinks cold for up to 12 hours. When things cool down, you can close the cooler part, and just use it as a sleek, contemporary design patio table. It’s available in three colors, so you can choose one to match your decor. Your pool water needs to stay at a certain level for the skimmers to work properly, which helps your filter work properly. But a lot of swimming and splashing around can bring that water level down pretty quickly. 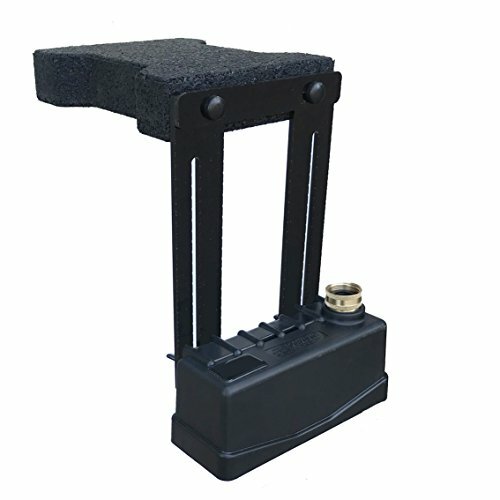 Set up this pool water leveler If you click this link and make a purchase, we earn a commission at no additional cost to you. , though, and you won’t have to worry about a thing. 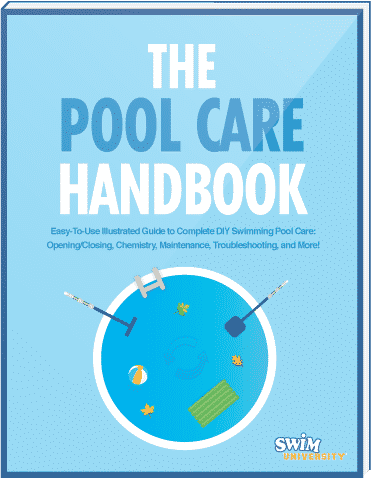 It works with both inground and above ground pools, regardless of liner type. The rubber base keeps it in place so it won’t fall into the pool, and the brass, acrylic, and stainless steel hardware and connectors ensure it’ll keep working for years to come. Next time you have a bunch of people over—especially a bunch of kids—leave the more expensive pool floats in the shed and break these out instead If you click this link and make a purchase, we earn a commission at no additional cost to you. . Everyone can have fun with a float, and if one of them pops or is otherwise damaged, you’re only out a few bucks instead of a few dozen. Besides, they’re cute and colorful, and measure 36 inches in diameter, so they’re perfect for just about anyone. Yeah, we know. This technically isn’t a pool accessory. But come on. A giant inflatable movie screen If you click this link and make a purchase, we earn a commission at no additional cost to you. ?! Are you seriously saying that wouldn’t look good at one end of the pool while everyone floats around watching, say, Jaws? You wanna get on that right now and you know it. The screen measures 123 inches by 70 inches, and the entire unit measures 12 feet high by 11.5 feet wide. It includes stakes and tethers to keep it in place during your double feature, and a storage bag for when movie night is over. This movie screen also has two built-in fans for fast and easy inflation. Start popping the popcorn now! Next time you have to buy some necessary pool supplies, why not throw in a few fun pool accessories? Choose a few with function, and you can easily justify your purchases as being “necessary.” We won’t tell. And hey, what time should we be over for the movie?